Wickedly Wonderful is a small summer camp in the UK for children. We regularly receive top reviews in the national press like The Sunday Times and Daily Telegraph. We offer residential summer camps during the summer holidays and skiing trips during the February half term or Easter holiday for children aged 6 to 13 years. The children spend the week outdoors at the camp, making new friends and learning new activities while having oodles of fun. 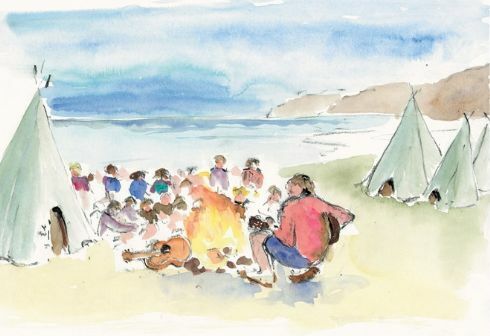 At the summer camp, located on the beautiful south coast of England, they sail, horse ride, kayak, enjoy games on the beach, roast marshmallows and toast chocolate bananas around the beach campfire, swim, surf, go crabbing and ride bikes. We are very outdoorsy. There are 3 great camps to choose from: Multi Activity - Sailing Camps - Pony Camps. We keep our summer camps small so that they can be more personal and tailored to the individual. 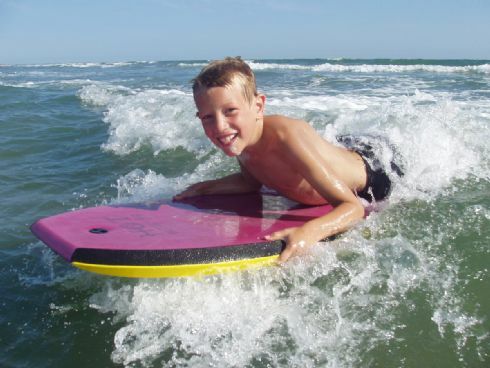 We nurture children’s natural self-confidence, while giving them a fun and completely unforgettable children's holiday experience. Wickedly Wonderful is for anyone aged 6 to 13 years old! It doesn't matter about ability, shape or size – it's all about being away from home in a safe, positive, exciting and constructive environment that encourages children to grow mentally, physically and spiritually. We are based on the South coast, in a wonderful, spacious and safe environment in the heart of the beautiful Sussex countryside, 1.5 hours south of London, near the Cathedral city of Chichester and not far from the beach. We offer free transport to the camp from London. The children have enormous amounts of fun while their parents either shoot off for a few days of relaxation (and recuperation!) or head back to the office with the peace of mind that their children are enjoying the great outdoors, making new friends, learning new skills, growing in confidence and being encouraged to take on new challenges whilst being supervised in a safe environment. Children have been enjoying holidays with Wickedly Wonderful for eleven years, and these are holidays that they will remember forever. We run sailing camps, pony camps and multi activity camps for children aged 6 to 13 years old during the summer holidays and ski camps in the Feb half term and Easter holidays. Due to constant requests from parents who want to join in on the fun, Wickedly Wonderful now offers family ski holidays as well as children-only summer and ski holidays. Catherine Scholes is the Camp Director and works with an excellent team of activity leaders. The staff who make up the excellent team at Wickedly Wonderful are chosen for their fun, enthusiastic characters and for their experience with children. They are energetic and responsible. The small groups ensure that the children receive the utmost attention for the 24 hours throughout the day and night. The children are constantly entertained with maximum attention.